Uttering the phrase affirmative action conjures up a torrent of emotion in people from all walks of life. Putting the emotion aside, I’ve always been more interested in knowing exactly if affirmative action works. Does it help kids and teenagers realize educational goals that otherwise would not have been achievable? Who can differentiate between those who belong and those who do not? The majority of blacks are admitted to the Law School because of discrimination, and because of this policy all are tarred as undeserving. This problem of stigma does not depend on determinacy as to whether those stigmatized are actually the beneficiaries of racial discrimination. When blacks take positions in the highest places of government, industry, or academia, it is an open question today whether their skin color played a part in their advancement. The question itself is the stigmabecause either racial discrimination did play a role, in which case the person may be deemed otherwise unqualified, or it did not, in which case asking the question itself unfairly marks those blacks who would succeed without discrimination. The stigma, I believe, is very real. Not only in the minds of students who do not directly participate in affirmitive action, but also in the conscious of the female and minority students who must persistently push back the pang of uncertainty as to whether or not their spot was ‘deserved’. 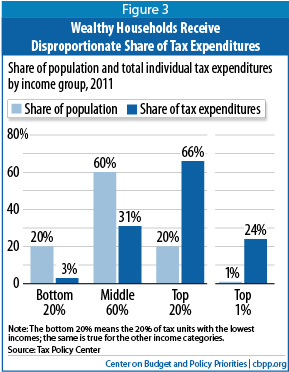 Great blog post from the Center on Budget and Policy Priorities. In 2010, President Obama signed into law the child nutrition bill. Included in that bill was a provision known as “community eligibility.” The provision allowed school districts operating in high-poverty areas to offer all students free breakfasts and lunches. Because these schools already operated in localities where the majority of students were eligible for free or reduced price meals, expanding the program to the remainder of the school population added minimal costs. On top of that, participating school districts saved significant administration and overhead resources by not having to fill out paperwork. This is why I love public policy. “Community eligibility” means more children get healthy food and a full stomach. Across Illinois, Kentucky, and Michigan, 665 schools are now community eligibility schools, serving more than 280,000 students, with additional schools expected to join in the coming year. More than three-quarters of students at these schools were approved for free or reduced-price meals for the 2010-2011 school year, prior to community eligibility’s start. Across all three states, these schools served roughly one in ten of the children who were approved for a free or reduced-price meal during the 2010-2011 school year. In Michigan, nearly one in five children who was approved for a free or reduced-price meal last year attended a school that is now participating in community eligibility. Unsurprisingly, more children ate at school once the meals were free for all students. In community eligibility schools, average daily lunch participation rose from 72 percent in October 2010 to 78 percent in October 2011, while average daily breakfast participation rose from 48 percent to 57 percent over the same period. Kentucky particularly stands out for an increase in breakfast participation, jumping from 49 percent in October 2010 to 70 percent in October 2011, reflecting more widespread availability of breakfast in the classroom. Every participating school district that we spoke with would recommend the option to other districts serving a comparably poor student body. Although participating schools receive the federal free meal subsidy for only a portion of meals, school districts report that administrative savings make up for the meal charges they must forgo, and parents and staff have reacted positively to the program. The program was available in Illinois, Kentucky, and Michigan this past year and will be expanding to the District of Columbia, New York, Ohio, and West Virginia for the 2012-2013 school year. After that, any school district eligible can participate. Very exciting. Are we really a European entitlement society? There’s a lot of rhetoric being thrown around that the United States is quickly turning into a European style entitlement society. It’s a phrase that seems to be sticking with a lot of people. The concern seems to be that as the government steps in to help American citizens get through one of the worst economic downturns the country has ever faced, more and more of these citizens will forget how to work. As government intervenes, more and more people will become eternally dependent on the state and just won’t see any purpose for working. It’s an alarming prospect. Only problem is, it’s not really true. According to the Center on Budget and Policy Priorities, many of the earned benefits that people are using to get through these tough times are going overwhelmingly to our most vulnerable populations or to the working poor. 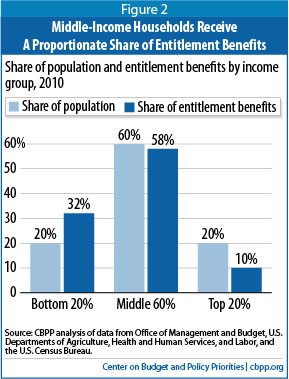 After dispelling the ‘entitlement society’ myth, the paper then goes on to contrast, the distribution of earned benefits with those of tax expenditures… now which one do you think is more out of whack? Very interesting indeed. It’s important that as we hear commentators and politicians from both sides of the aisle prognosticate on the future of our country, we look to legitimate research and analysis to make sure that what they’re saying is based in fact and not fear.